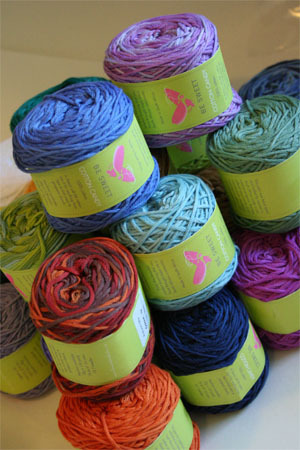 Above: Beautiful Solids and Multicolor Cotton DK Yarn colors from Be Sweet! Smooth to the touch, soft on your skin, light and lovely, this hand dyed dk weight cotton yarn is made especially for Be Sweet in South Africa. All of Be Sweets' yarns are made in cooperation with a Jobs Creation program in South Africa that helps women become independent and self-reliant, at the same time creating beautiful yarn for us to enjoy!